Great for tug and toss play! Bring out your dog's natural instincts with this realistic plush dog toy raccoon. With it's natural shapes and textures, these toys will be sure to keep your dog interested for extended play times. 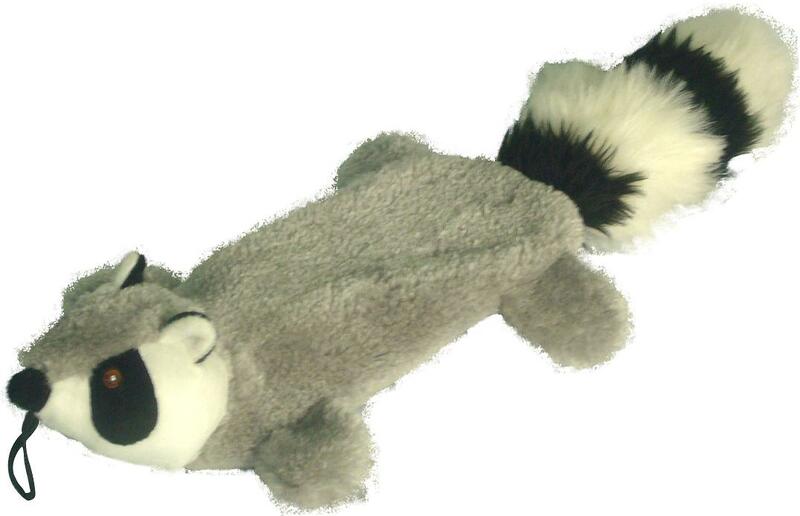 This dog raccoon plush toy is great for tug and toss dog play. It is durable and filled with loud crinkle paper inside the body with a grunt sound in the tail. Have fun!